Facts About The Weatherford/Parker County Animal Shelter? Unfortunately we must cancel the low-cost spay/neuter clinic scheduled for this Monday, January 23. We will not have the low-cost vaccination clinic that date, either. Our clinics at the Weatherford shelter are being suspended and we will inform you when we’re able to resume them. Everyone with appts for Monday will be notified and we’ll keep the names/numbers if they’d like us to keep them informed of upcoming appts. Is it true that 30+ puppies were ready for adoption when they became victims of euthanasia at the Weatherford/Parker County Animal Shelter? Read the following comments and I believe you will agree that the death of these and many other animals was completely unnecessary. I believe compassion and cooperation would go a long way toward humane treatment of these helpless victims. I am writing to you as a concerned citizen. The Weatherford/ Parker County Animal Shelter (WPCAS) needs to be reformed and better managed. The officials in charge of WPCAS have either ignored the issues or been misled for too long. Now, the issues encompassing the shelter have metastasized into a huge problem. We cannot continue to pretend the problems at WPCAS do not exist. I am one of many rescue networkers for animal shelters all over Texas. Our networkers are very passionate and dedicated. We are also very successful in rehoming shelter animals. We have worked together with animal shelters of all sizes to help them lower their euthanasia rates—and in some cases even eliminate the need for euthanasia all together! The key to our success is using social media (Facebook primarily) and low cost spay/neuter clinics. Networking produces amazing results.WWW.Petfinder.com is good, but Facebook is more effective! It is an absolute shame that the animals in our own community are being prevented from a second chance because we don’t have the accessibility to network them! I am requesting that a volunteer manned Facebook page, for the animals at WPCAS, be instituted immediately. No cost is required to do this. It is our hope to work hand-in-hand with the animal shelter employees, but very little is asked of them in order to make the Facebook page run effectively. Volunteers only would need identification numbers, access and permission to photo the animals. Along with our Facebook page we request permission to use an “Urgent” list. This is where the volunteers are given a list of the dogs and cats that are coming up close to their euthanasia dates. We are able to post them as Urgent on the Facebook site which expedites their networking and gives them the best chance of being saved from death row. 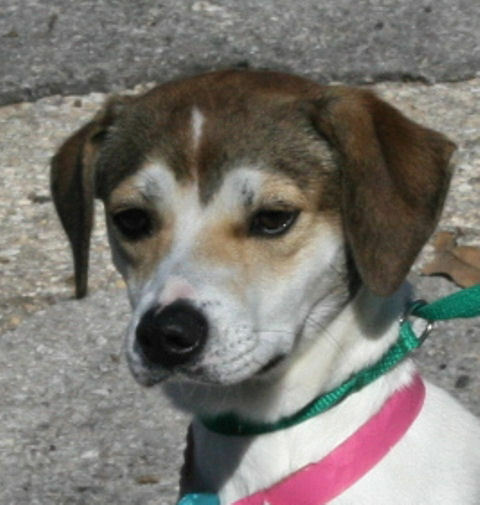 I would encourage you to look at: http://www.facebook.com/IrvingAnimalShelter for a complete model of what I am describing. We are realistic in our expectations. We don’t expect every animal to get rescued, but we do expect to give them their best chance. If the public knew the adoption rate at WPCAS compared to the EU rate they would be absolutely appalled. As you know, WPCAS is the hub for surrounding communities (Springtown, Millsap, Peaster, etc.) to relinquish their animals. We continue contracting and taking in more dogs and cats and yet we have no networking going on. It’s just a bigger death sentence for Weatherford animals. The shelters that use networking to their advantage make the system easy and simple. They welcome any help from volunteers and do not set a ton of ridiculous, self serving, “rules” for them to follow. Another problem at WPCAS is the fees they charge for rescues to come in and “pull” the animals they want to take charge of. Most shelters in Texas have learned the value of rescues being able to pull for free with proof of a 501c3 nonprofit status. Why would a rescue pull from a shelter where they have to pay a fee when they can go elsewhere and pull a dog or cat for free? Also, WPCAS no longer allows out of state adoptions. This is a ridiculous, self imposed “rule” with no merit. We send many animals up north to various rescues and personal adopters. I understand the Animal Control Officer’s (ACO’s) are “concerned” about the out of state rescues because they can’t physically go and check them out but they don’t investigate local rescues either. The ACO’s are not doing home checks on local animals that are adopted so what is the difference? No expenses are being asked of the WPCAS to get the animals out of state. Our network community covers expenses, transportation and logistics. The only thing needed from the WPCAS is simply approval for a 501c3 rescue to tag a dog, with the intention of transporting it out of state. We take care of the rest. Many people ask, “why does an out of state rescue want our dogs when they can go get a dog out of their shelters?” Well the answer is simple, Texas dogs and cats can be vetted for half as much down here. Many veterinarians in the North do not offer rescue rates like they do in Texas. So, it’s cheaper to get a dog from Texas vetted down here and then transported up north. Since Texas is one of the highest euthanizing states we need all the help we can get. These requests for change are not big things, not expensive things and aren’t difficult for people who want to make a difference. Please help the rescue network get more access and less petty restrictions so that we can make a difference and help the WPCAS improve its adoption rate. I am a volunteer rescue worker that has been networking the animals at your facility. I am also an accountant. Certain irregularities have come to my attention and I was wondering if you could enlighten me as to why the city/county doesn’t have a budget to cover the needed expenses for items you are asking the public to donate? I was under the impression Parker County had a budget of approximately $500,000 per year for this shelter. I would be curious to see the budget versus actual expenses for this budgeted line item. Surely that is public record so I would like to see that information as well as the number of animals taken in, adopted, rescued or destroyed for the last several years. If there are not adequate supplies at the shelter, wouldn’t the logical solution be to increase the budget to cover the items the shelter needs? Why is that burden placed on already cash strapped non-profit organizations or citizens when it is a government run facility? That would be the County’s responsibility. As you well know, a critical component of a successful animal shelter is adoptions and/or rescues. Is the County willing to hold off-site adoptions every few weeks around the county that were previously held by volunteers and non-profits? If so, where will those adoption events be held and who will be transporting the animals? Are you going to pay overtime to your county employees to do this when they were previously done by unpaid volunteers? Will the trailer that was donated continued to be used for mobile adoption events? I am also curious as to who will be posting the animals on petfinder.com andadoptapet.com? From what I understand that was also done by unpaid volunteers so are you going to pay overtime to the county employees to do it now even though they are obviously overwhelmed by the massive influx of animals being brought into the shelter daily? I’m sure you are aware networking animals online is very effective and without these tools, crossposters like myself, have no way to promote Weatherford shelter dogs. The end result will be longer lengths of stay, more euthanasia, more sick animals (since one sick animal can contaminate many and the longer the animals remain on site, the higher the risk of illness occurs) and more taxpayer money needed to fund the shelter. Is the public aware of these facts and that there will be less and less animals saved and Parker County becomes one of the biggest KILL SHELTERS in the state? I have found the public is generally uninformed as to shelter practices but if there is no resolve in this matter within a reasonable period of time, it will obviously be brought to light and I wouldn’t think any elected or hired officials would be very proud of a dismal shelter record since most of the public will be animal owners and lovers. I would love to see the budget vs actual expenses for this shelter. Perhaps I can shed some light on the effectiveness of the way this shelter is being run for you. The Fort Worth Animal Control Center has created an adoption center in partnership with PetSmart charities. Surely with the large quantity of animals being brought into your shelter that will also be on your agenda. If Weatherford & Parker County is truly concerned about the welfare of these lost and abandoned pets (and you, yourself, may find yourself in a situation of need should one of your pets become lost), then I implore you to do the humane thing and consider the poor animals stuck in your shelter and quit using euthanasia as a means of controlling the animal population. I have read the newspaper articles about the County and Parker Paws coming to a meeting of the minds and we all know that is somewhat misleading. I know for a fact Parker Paws has dramatically scaled back their work and changed direction. There will be public outcry when people surrender pets to this shelter thinking Parker Paws will find them a home or will foster them only to find out later their pet was destroyed instead. Your Shelter has always been a high kill shelter and it will get worse and worse. Does your County really want that stigma of being one of the highest kill shelters in the State of Texas when other communities such as Rockwall, Arlington and Fort Worth (your neighbors) are working towards compassionate and humane efforts (no kill) instead of destroying animals? The truth is going to come out about the actual agreement between your County and rescue groups so I would think it would behoove you to stop this insanity now. Please be aware reform and change is desperately needed at your shelter and consider doing the right thing. I am writing to you as a concerned citizen. Our local shelter has long since needed reform. We have turned our heads for too long now and it has grown into a huge problem. You, (out of anyone I am writing to) I believe will be most understanding. I have heard that you and your wife have taken in rescues before and are obviously animal lovers. We cannot continue to pretend that the problems at Weatherford shelter do not exist. I am a rescue networker for about 30 shelters in Texas. It’s a second job to me. Although I do not go into the shelters, I network to rescue groups and write about 30-40 emails each night to find dogs and cats homes or rescues to go into. We are very successful. As a matter of fact, last year at the Wise County shelter, they were euthanizing animals every single week, sometimes more than once a week. Last week I got confirmation they have now gone 8 weeks without euthanizing. The only thing that changed was that we were allowed to start a Facebook page and hold low cost spay neuter clinics. Networking does amazing things. As I mentioned, I network for many shelters yet I always find myself feeling guilty because the dogs in my own county aren’t being networked. I would like to request permission to start a Facebook page for the Weatherford Animal Shelter. This page would be for volunteers to directly run and post on. We would, however, need the help of the shelter to do this. We would need shelter Id numbers and permission to photo the animals. Also, an urgent list would be VERY beneficial. At Ft. Worth Animal Care and Control, the ACOs (Animal Control Officers) work WITH the volunteers and want to help get animals out. We understand they have a hard job and we don’t expect every dog to get out; but every day they provide us with an urgent 24 hour (or more) list and let us network them. They usually put the sick ones on this list, and whichever animals don’t get rescued or adopted from that list after the allotted time may be euthanized, but at least they are getting one last chance to be saved. I believe some of the ACOs at Weatherford have gotten lazy and this is why they won’t allow us post urgent dogs. It seems to me that they would rather just euthanize the animals and not have to deal with it. If the public knew the live release rate at Weatherford as opposed to the rate of euthanasia, they would be absolutely appalled. Recently the Weatherford shelter has also contracted to take on Springtown pets as well as several other towns. It’s not fair that our county continues to take on more dogs and cats from other towns and yet we have no real networking going on. It is just a bigger death sentence for Weatherford pets. Fort Worth’s system is easy, simple, and saves animals’ lives. They welcome the help from volunteers and do not set numerous and ridiculous “rules” for them to follow. Petfinder is good for networking as well, but Facebook has shown to be much more effective at broadening the scope of people seeing the animals and giving them a chance to help. Another problem at Weatherford is they don’t let rescues “pull” (releasing an animal to a documented 501c3 rescue) at no cost. Almost every shelter in Texas allows rescues to pull for free with proof of a 501c 3. Why would a rescue pull from a shelter where they have to pay a fee when they can go somewhere else and pull a dog or cat for free? It saves money and lives in the long run as it gets animals out of a cage making room for another without killing one. Please feel free to call and check at other local shelters to see if this is correct. I assure you it is. In addition, Weatherford no longer allows out of state adoptions. This is not fair. I send many animals up north to rescues. I understand the ACOs could be worried about the rescue since they can’t physically go and check them out but I guarantee they don’t check out local rescues either. The ACOs are not doing home checks on dogs that are adopted so what is the difference? If they wanted to check a rescue up north out they can online. I know several shelters in the area who will send animals up north to new homes, but first do a little research before sending up there. This is another area that volunteers could be implemented at the shelter. We aren’t asking for the shelter to transport or take on any additional work. We just want the approval to send a dog with a 501c3 in another state. We will do the rest. Many people ask, “why does an out of state rescue want our dogs when they can go get a dog out of their shelters?”. Well the answer is simple; first, many other states require residents to spay and neuter unless they are a licensed breeder. This cuts down on unwanted pets. Another reason is cost: in Texas dogs and cats can be vetted for half as much as other states. I network with a member of the Chihuahua society of Connecticut and she said veterinarians up there do not offer rescue rates like they do in Texas. So it’s cheaper to get a dog from Texas vetted and then transported up north and since Texas is one of the highest euthanizing states we need all the help we can get. These changes are not big things and aren’t asking much. Basically, the volunteers would like to have more rights and have the shelter cooperate and work together with the volunteers a bit more. I really hope you can see the point here. All of these requests are pretty standard procedure at most Texas shelters. I know the public cares and if they don’t care its because they don’t know what’s going on. I am hoping we can resolve this here and now but if not, I have had several reporters contact me and want this story. I would rather not bring them in on this but if we can’t resolve the issue the public deserves to know the truth about this place. Note: Check back frequently for updates concerning this issue. Get involved – stay involved. Animal lovers as well as tax payers should be very concerned about just what our tax dollars are paying for. Sounds like some major accountability is needed and maybe an audit to find out! City officials need to start listening to the public and caring about our concerns!!! Once a month we have a first Monday, with recent improvement to live animal section, would this not be an ideal location on a month by month basis to set up an adotion center, complete with volunteer vet services to get the pet owner started off in the right direction? The potential is there, just a suggestion. I think there were many reasons the Animal Shelter ended pet sales at first Monday Trade days. Even if Parker Paws was still an active volunteer group holding off site adoptions, I doubt they would want to do that there at that location. The reason being too many impulse adoptions. Impulse adoptions typically do not stick and the animals end up back at the shelter, however, when surrendered from their new owner, this puts them at the top of the list for dogs who can be immediately euthanized. In my opinion they should be considered adoption failures, but in the animal control world they are then called Owner Surrendered. I know all the old reason for ending sales at First Monday, it was legitimate and had sound reasoning, that has been addressed and first monday is now a better facility for animals to be sold. What I am proposing has nothing to do with that. A volunteer organization could use the facility once a month to touch base with the people who might adopt an animal and do whatever is necessary to start the process to insure the people are suitable for the pet. The thing I would point out to you Lee Ann is that perhaps a little more flexability in attitudes and looking for solutions would be more appropriate at this point for those people that think everything has to be done their way. Bottom Line if 10 animals a month are adopted through this process that is 10 animals less that would be euthanized. I think the Pet Mart solution is wonderful and wish that more businesses would become involved in these issues as Pet Mart has. A Facebook page is a great idea and a good way to address the emergency of overcrowding at the Shelter and getting animals with the right people. Parker County it is time for us to start working together again. This trash talking of everybody does us no good. If you have concerns, then write your letters to the people who make a difference and control the purse strings. The city manager works at the pleasure of the city council and the Sheriff though voted for independently is funded by the County Judge and his Commissioners court all of these politicians are answerable to you. Lets become a little more civil and work this problem out. Jack, the problem is not location it is the shelter Admin. who is not allowing off site adoptions anywhere right now period! The volunteers have contacted all of the people you mentioned without much response so far and that is why it needs public outcry! I talked with the Sheriff myself last week and he said he was going to talk with the city manager that day. Have heard nothing to tell me things have changed since our talk. I have written all city councilmen, Mayor Hooks, Mr. Bates, Jerry Blaisdell; the city manager, all of the county commissioners, Judge Riley and phoned the Sheriff’s office. I haven’t heard from any of them except Councilman W. Hamilton’s secretary phoned me that he was in the hospital. I am doing all I can to bring awareness to the current situation and to try to get resolve for the animals who are being killed at this shelter. I have also written The Community News, The Weatherford Democrat, The Weatherford Star Telegram and Publisher of Parker County Today magazine. They are saying those involved are not speaking. There is no story with no body able or willing to talk. So I am trying to be a voice for the voiceless. The mass public has no idea how many animals are being killed at the Weatherford Shelter every month. I am trying to get my hands on those records too, to get the truth out to the public. My best guess was that 1 in 10 got out alive from either owner reclaiming, adoption or rescue saving them, that was WITH the help of the volunteers of Parker Paws there assisting the public and holding adoption events off site. Without Parker Paws presence and assistance at the shelter, many many more good healthy adoptable animals will die. How many? I don’t know maybe only 1 out of 100 will make it out alive without the networking of Parker Paws or other Volunteers and rescues being contacted to save more lives. It’s very sad, the citizens of Parker County need to know this. I appreciate this blog being another avenue to make the public more aware. The problem is not having the facility Jack, Pet Smart was allowing them to use their facility for off site adoptions and the shelter has a mobile adoptions trailer that was donated. The problem from what I have heard is a staff member not allowing off site adoptions anymore. I for one would like to know the reasoning behind this and other policy’s preventing animals from having a chance! The goal should be to find placement for the animals. The volunteers are willing to do what they can but they are being road blocked. Many people in our community have come to know and love the wonderful work from this non profit group, however as reported recently in local newspapers, their duties have been redefined and scaled back. Unfortunately, Parker Paws volunteers will no longer be taking photos of the animals to post them online to encourage visitors to the shelter. They will no longer be holding offsite adoptions at PetSmart and other locations around Parker County. They will no longer be holding adoptions on busy saturdays that are normally closed holidays for shelter staff. They have put their foster program on hold until further notice. They will not be networking dogs on Facebook and other internet sites. And they will no longer be contacting rescue groups to save purebreds who find themselves in the shelter. Parker Paws will only continue to raise money to supplement the shelter with items such as office supplies and dog and cat food to name a few. They will continue to offer low cost spay and neuter and vaccines. What does this mean for the animals at the shelter? More pets will die. Fewer will find their way into foster homes, rescues or adoption families. When people hear you say “Parker Paws” they often think “that’s the group that gets the all the shelter animals adopted”. Sadly, that is no longer the case. Why are food donations needed by the shelter? That should already be in the budget. I would think food donations would be used for foster homes for the animals but not for a city/county funded shelter. Where does the tax payers money go and where do the donations to Parker Paws go exactly? This was my first letter sent to City Council, the Mayor, and the City Manager. I have not heard back from anyone except Mr. Hamilton who I am told by his secretary that he is in the hospital. I would like to know why the city/county doesn’t have a budget to cover the needed expenses for items you are asking the public to donate. I thought that Parker County gives some huge amount of money like $500,000 a year to this shelter. Where does this money go? If there isn’t enough food at the shelter, why is the budget not adjusted so there is enough money to buy all the items the shelter needs? Why is that burden placed on a non profit such as Parker Paws? Also, why do you need items like dog collars and leashes? I never see any collars on the dogs at the shelter, unless they were already on the animal when it came in. The leashes the public buy and donate are not the ones used at the shelter for staff to walk the dogs, so why do they need these items? Will there still be off site adoptions every few weeks at PetSmart in Weatherford and other locations around the county, since Parker Paws will no longer be holding those events? Will the trailer that was donated continued to be used for mobile adoption events by Shelter Staff? Who will be handling the off site adoptions now, if Parker Paws is not doing that? Who will be posting the animals on petfinder.com and adoptapet.com? Networking animals online is very effective and without these tools, crossposters like myself, have no way to promote Weatherford shelter dogs, so how will the public be informed of their existence and encouraged to come to the shelter to adopt? Who will now contact rescue groups when a purebred comes in? Where exactly does money donated to Parker Paws go? And why does this shelter rely on a non profit to meet their needs of office supplies and other simple basic necessities like dog food? Perhaps it’s time to adjust the current budget and look at spending! When will the Weatherford Shelter create an adoption center in partnership with PetSmart charities like the ones in Fort Worth? If this city/county is concerned about the welfare of these lost and abandoned pets, then this something needs done. By Parker Paws no longer being able to host or wishing to organize these events, more animals will be killed. I feel the public has come to known and love Parker Paws and all the good they did. I feel the public was mislead by news media stories that all is well and the same as before. Clearly Parker Paws has dramatically scaled back their work and have changed direction. Many people surrender pets to this shelter because they think surely the good folks at Parker Paws will find them a home or will foster them. All this is gone right now. Someone needs to tell the public the truth. That Weatherford/Parker County Shelter is a high kill shelter and no volunteer group is now working on the animal’s behalf in getting them adopted, fostered or rescued. This “resolve” between Parker Paws and Shelter staff and city officials was very disheartening to say the least. I am sorry that it this was the best that could be worked out. I hope as the truth continues to come out, and as the public becomes more aware of the killing of healthy adoptable and some fully vetted animals at this shelter, that they will rise up and demand reform and change which has been desperately needed for years. Operating hours also need changed! This shelter is only open the public on Tuesday thru Sat from 11 am to 4 pm. How can someone who works full time get there to see if their lost dog is there before closing? By law they only have to keep the dog 3 days without rabies or other id tags, and if no microchip is found. Yes we need adoption events and we need to get our dogs networked so they have a chance at a home with a loving family. As a tax payer I would like to see some accurate numbers of intake-owner surrender-stray, adoptions and return pet, number of animals put to sleep and reason for eu, animals sent to Fort Worth for Petsmart adoption events–also I am very concerned about the animals sent up to Fort Worth-from what I have read three of our dogs were out to sleep and one that was adopted and died from distemper within two weeks of adoption-she died at home her last week of life with a loving famly. I fail to understand why as tax payers we are being denied access to the shelter files—also wondering why as tax payers we are paying for the up keep and care of the birds at the shelter–numerous people have requested to adopt those birds and were told that they belonged to the shelter and were not up for adoption???? I guess what it comes down is that as tax payers we need some anwsers from our officials and up to this point we have not recieved any. Thank-you Lynette, Lee Ann and Diane I think this forum, The Democrat, Facebook and perhaps even our local radio stations are good places to state the facts you have done so here, on facebook and I believe I have seen some works at the editorials in the Democrat. Continue your passion and keep it professional and I believe your message will get through. There are many good people in this community that value their pets and understand your concerns for these helpless animals in the shelter, they really didn’t do anything to wind up where they are at but their caretakers did and it is all of our responsibilities to try to right the wrong and make Parker Counties Shelter into what we all want, a safe temporary haven for animals looking for a new home. Amen Jack and thank you. What the **** is going on at the Weatherford shelter? I, too, have been misled by news stories that “all has been resolved” between Parker Paws & the shelter. I have been appalled by the way the shelter has been run for a long time and gave up on volunteering because it’s demoralizing to see how little effort goes into actually taking care of the animals in their charge. That was before Barbara Pursley and the Parker Paws volunteers arrived on the scene, giving me false hope that the situation has improved. This is appalling; while letters to the editor are always useful in educating the public, it’s time for those of us who care about animals to take more decisive action. There is far greater strength in numbers. Judith you hit the head of the nail for the day … I noticed there were 69 members on the Facebook site … If they were to send this page to all of their friends just think of the amount of people that could be added to this discussion. Apparently neither City or County Administration responds unless the numbers are in the Thousands … because as of yet except for one conversation with the Sheriff which was a one way conversation with no real answer back and a City Coun. member responding he was in the hospital, their apparently is no official willing to go on the record! That is sad Citizens of Weatherford and Parker County. intend to continue searching for the solution. Thanks sir for your kind reply, I had noticed it a couple of time and was pretty sure you knew about it, but just in case thought I would mention it, I assume it is a host computer timing error and that at times can be a problem to correct, thanks for your efforts. I would just like to point out Mr. Blaisdell’s, final comment (below) is so far fetched and outlandish that I think I need to go find a shovel, because I find myself knee deep in bullshiit.